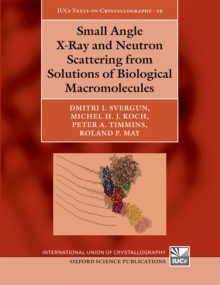 This book aims to explain how and why the detailed three-dimensional architecture of molecules can be determined by an analysis of the diffraction patterns obtained when X rays or neutrons are scattered by the atoms in single crystals. 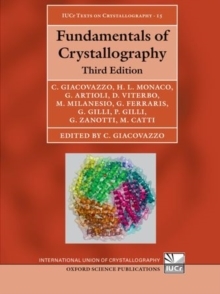 Part 1 deals with the nature of the crystalline state, diffraction generally, and diffraction by crystals in particular, and, briefly, the experimental procedures that are used. Part II examines the problem of converting theexperimentally obtained data into a model of the atomic arrangement that scattered these beams. 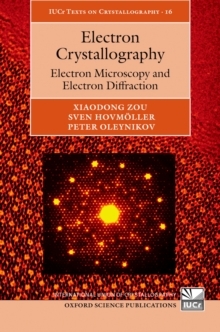 Part III is concerned with the techniques for refining the approximate structure to the degree warranted by the experimental data. 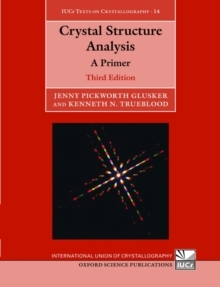 It also describes the many types of information that can be learned by moderncrystal structure analysis. 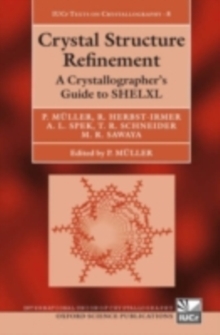 There is a glossary of terms used and several appendixes to which most of the mathematical details have been relegated.